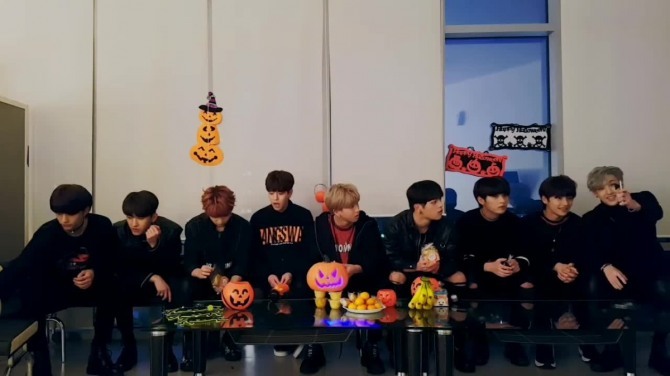 Stray Kids went live on V Live on Sunday to celebrate Halloween. The segment, titled “Sunday Kids,” is dedicated to the band’s live broadcasts on Sundays. The members sat in a dimly lit room decorated with Halloween props, telling stories about the old days when the members used to play hide-and-seek together and color in coloring books. Watch Stray Kids’ Halloween broadcast at https://www.vlive.tv/video/95978. The IZ*ONE bandmates treated themselves to some Halloween candies on Sunday, using their V Live channel to share the event with fans. The two-part “meokbang” series earned over 4 million likes in total. While the girls said it was going to be a “trick or treat” broadcast, it became pretty apparent early on that they were mostly interested in the candies. 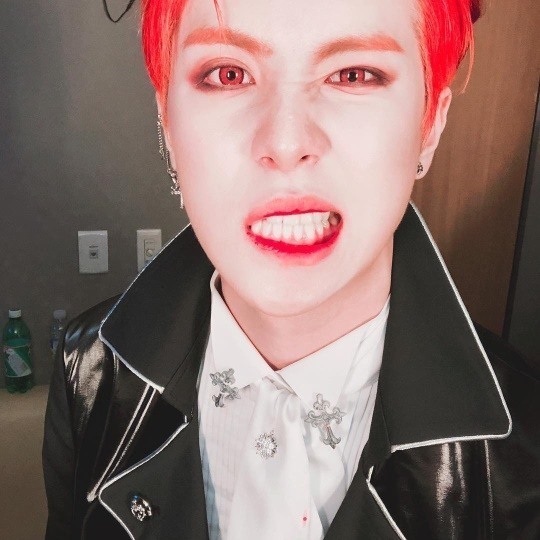 Kwon Eun-bi, the leader of the rookie group, told the viewers that they were doing a “Halloween snack meokbang.” The word “meokbang” is a Korean neologism that refers to a live broadcast dedicated to eating. Watch IZ*ONE’s Halloween meokbang at https://www.vlive.tv/video/95963. Watch Kim’s broadcast at https://www.vlive.tv/video/95826.